At A Quality Plant we offer you the service of Wholesale Palm Trees right to the beautiful city of Cape Coral, Florida. Wholesale of palm trees of the most superior quality is our passion and forte. 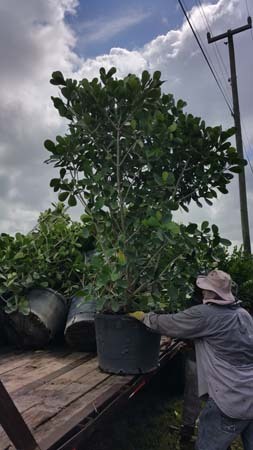 We believe in enabling our customers improve the landscaping and aesthetic appeal of their projects by furnishing them with a premium and handpicked stock of Florida bred palm trees. We can assure timely and best quality delivery throughout the bulk of North America. Over the years, we have provided our fine service to clients situated in Tampa, Clearwater, Brandon, Miami, Ruskin, Saint Petersburg, Cape Coral Florida and many more locations, and have helped diverse projects attain and realize the stunning landscape that they envisioned and dreamed of. The wholesale of palm trees at A Quality Plant is not limited to certain geographies or varieties of palm trees. The myriad varieties of palm trees that we offer for wholesale constitute of some species that are unheard of. Some of the beautiful palms that we grow are – Canary date palms, Areca Palms, Sabal Palms, Medjool Date Palms, Bismark Palms, Sylvester Palms, Bottle Palms, Washington Palms, and the list goes on. The sale of palm trees is particularly profitable for your projects since these are one of those perennial plants that never shed their leaves and keep the greenery intact while beautifying the surroundings all year round. One of our most sought after wholesale palm tree is the Canary Island Date Palm Tree also known as the Pineapple Palm which has its origins in Canary Islands. They are one of the most extensively planted landscape specimen palms in the south east regions and are exceptionally tolerant to the harshest climates. One such palm tree can grow up to be as tall as 40 feet and the wholesale price of such palm trees is approximately $250. Another great wholesale palm tree is the Sylvester Palm which is the most ornamental plant you will ever glimpse. Easy to grow and tend to, this is a quick growing palm tree, native to the Indian subcontinent. This variety of palm trees is priced from $300 onwards; our nurseries house palm trees as large as 20 feet, though not limited to this particular selection. We also wholesale certain very desirable specimen palm trees as well. These specimens showcase the perfect color, symmetry and lengths, and include the Bismark, Canary, Sylvester, Fountain and Senegal palm tree varieties. Apart from our diverse assortment of wholesale palm trees from Florida, we also offer installation of the specimen palm trees with a touch of care. Visit us soon and gift yourself the splendor of our wholesale palm trees!